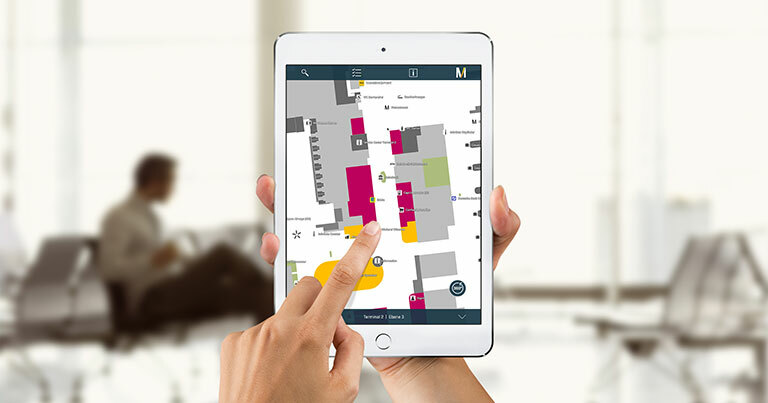 Help your staff and visitors get where they’re going with engaging touchscreen wayfinding maps and directories. When people visit your facility, you want to make a good impression by greeting and guiding them from the moment they step through the doors. Use convenient digital displays as self-service kiosks with interactive wayfinding maps and directories to help visitors navigate your building or campus. We’ll help you provide your audience with detailed directions in a rich, intuitive format using touchscreen technology. ~Effortlessly guide visitors to their destinations with dynamic and engaging directions. ~It is a self-service solution that reduces the need for staff to direct visitors. ~It offers a more positive visitor experience. ~Get your visitors to their destination more quickly and easily. ~Go Green – reduces the need to reprint maps when there are changes to floor plans or department locations. ~Increased return on investment by using the digital wayfinding as an advertising medium. Display ads of retail stores within the building and generate revenue. The interactive touch screen mapping system allows visitors to take a “virtual tour” of your facility with the touch of a fingertip. Upon selecting an event, location, or room number, a personalized map appears directing your guest to the destination of their choice. Interactive mapping is an available option when choosing your total solutions package. 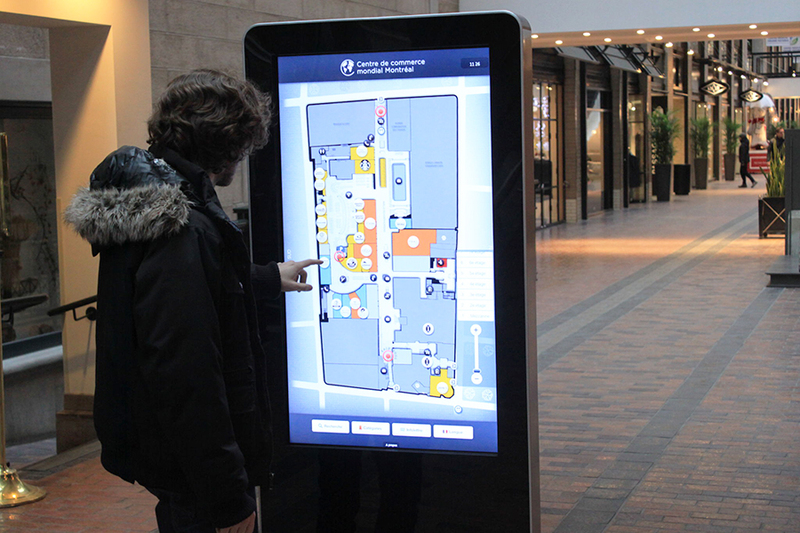 When your digital signage needs call for only wayfinding, this new digital mapping kiosk is the perfect solution. Imagine a large directory board built specifically to lead and guide visitors, and that is all! This indoor mapping system highlights a specific meeting space, room, retails store, event location or office location, to correspond with the directory listing that is displayed on screen, enabling visitors to easily identify where they are headed. Perfect for the budget-conscious facility seeking to add an element of design and order to their location. These attention-grabbing, 3D/2D rendered maps are designed to fit your environment or brand standards, while helping visitors reach their destinations. Whether upgrading or replacing an existing system or installing a system for the first time, Tablix works with customers to assess their needs and requirements to find the best and most cost effective solution. For friendly, expert advice, give us a call on +971 04-320-8450.